The districts along the Indo-Nepal border in Uttar Pradesh have been put on high alert on the eve of Lok Sabha polls to preempt smuggling of firearms, illicit liquor or cash into the state. The first of the 7 phases of polling in the state begins tomorrow with 8 parliamentary constituencies across 10 districts in Western UP scheduled to witness voting in the crucial state. The security and intelligence apparatus has been beefed up along the interstate borders for a peaceful election process. Apart from civil police, specialised wings including special task force (STF) and anti terrorist squad (ATS) have also been activated in the state ahead of polling. According to UP Director General of Police (law and order) Anand Kumar, about 1,05,000 cops, including police, paramilitary and provincial armed constabulary (PAC) have been deployed for election duty in the poll bound districts tomorrow. 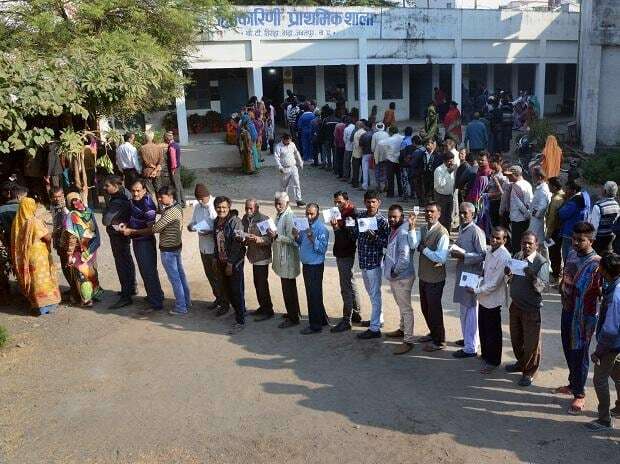 Ever since the model code of conduct came into force on March 10 after the Election Commission of India (ECI) declared the polling schedule, more than 8 lakh licensed arms have been deposited and arms licenses of 851 people cancelled in UP for maintaining law and order in the election season. A restraint order has also been issued against nearly 2 million individuals and non-bailable warrants executed against 24,000 persons. The concerned authorities had impounded more than 6 tonnes of explosives, apart from over 10,000 live cartridges and 4,000 bomb in the statewide swoop. Unaccounted cash worth Rs nearly Rs 160 crore has been seized, while the excise and narcotics departments has impounded 1.4 million litres of illicit liquor worth almost Rs 40 crore and Rs 18 crore worth of psychotropic substance respectively, in UP. Meanwhile, more than 4 million posters, graffiti, wall writings, banners etc have either been removed or covered due to the model code of conduct at public and private places. Additionally, 739 first information reports (FIRs) were registered in cases of violation of motor vehicles act, unauthorised meetings, hate speeches etc. In UP, more than 144 million electorates are expected to exercise their franchise, including more than 77.9 million males, 66.1 million females and 8,374 third gender voters. A total of 91,709 polling centres and 1,63,331 polling booths will be set up. The seven phases of polling will witness voting in 8, 8, 10, 13, 14, 14 and 13 parliamentary constituencies respectively, spread across 75 districts in UP. Tomorrow, voting will be held in 8 UP constituencies viz. Saharanpur, Kairana, Muzaffarnagar, Bijnor, Meerut, Baghpat, Ghaziabad and Gautam Buddha Nagar (Noida), which have sizeable Muslim population.